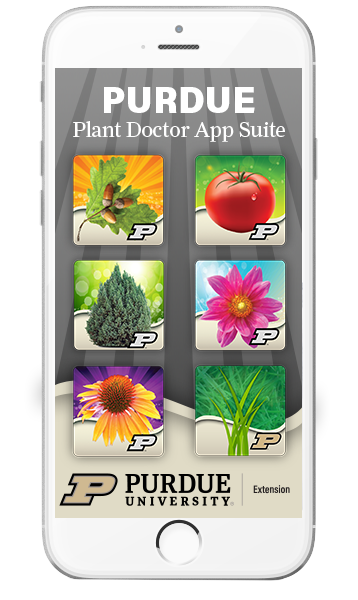 The Purdue Plant Doctor App Suite was made possible by a grant through the United States Department of Agriculture National Institutes of Food and Agriculture. We want to help people improve the health and appearance of their plants. We produce mobile apps to provide them critical information where and when it is needed. Hit us up on Twitter @purdueplantdocs. Have a question? Contact the Purdue Plant and Pest Diagnostic Lab. Contact the Purdue Education Store for more information from Purdue Extension.